I want to start by saying I was very impressed with the quality of the entries in our first challenge. I’m amazed at what you all created in such a short time. We’re definitely off to a great start. 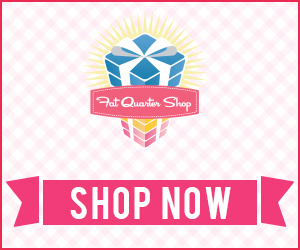 A special thanks to the Fat Quarter Shop. They have been a huge help to us in promoting Project Quilting and have generously donated some $25 gift certificates for prizes. The public vote winner and the judge’s choice winner of this week’s challenge will each receive a $25 gift certificate from the Fat Quarter Shop. As many of you know, Lapacek’s Orchard is our family business. The apple trees are just beginning to bloom and we’re really hoping there will still be blossoms on May 8 and 9 when we will be hosting Apple Blossom Days. Last spring Kim took lots and lots of pictures during bloom and the orchard is a truly beautiful place during that time. So……. on to Challenge Number 2. I wanted something really different than Challenge 1 and think I found it. 2. Maximum size is 45″ x 45″. 3. Minimum size is 12″ x 12″. 4. Budget is unlimited. Spend whatever you wish. 5. POST your entries with a description of your creative process by Sunday, May 2, at noon, CDT, to this flickr group – Project QUILTING with KimsCraftyApple: http://www.flickr.com/groups/1401824@N21/ OR email a picture/description of your completed project to lapaceksorchard@gmail.com with PROJECT QUILTING in the subject line. 6. If this is the first Project Quilting challenge you’ve participated in, please email Kim at lapaceksorchard@gmail.com with PROJECT QUILTING in the subject line so that Kim can send you feedback from the judges. I love the entries from the last Project Quilting! I wish I had been in that one as the pattern was one of my grandmothers favorites! But I would love to be part of this challenge! I hope you can Thearica! Can't wait to see what you come up with! I'm going to try to come up with somethin'! Thanks for organizing this! I'm starting on mine! I know I wont win any but it does stretch ones imagination doing these challenges. How's everyone's challenge coming!? Can't wait to watch the flickr site tomorrow!